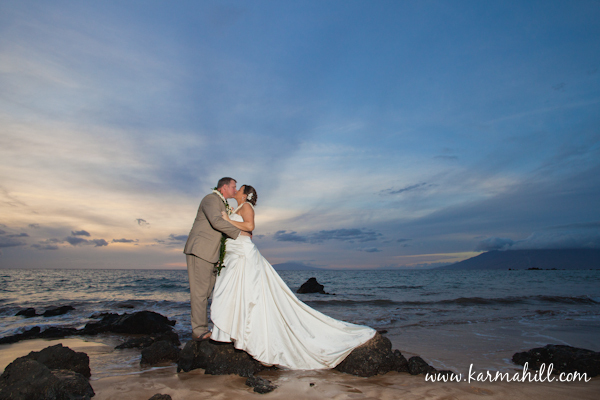 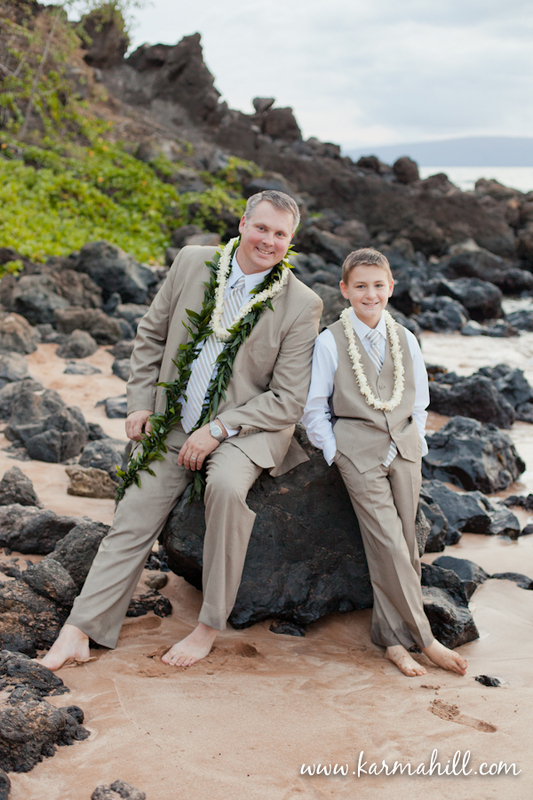 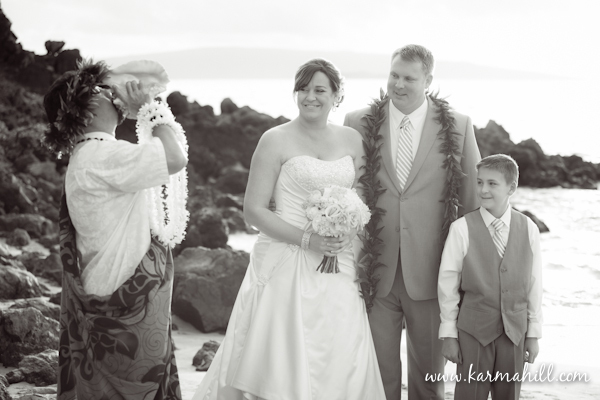 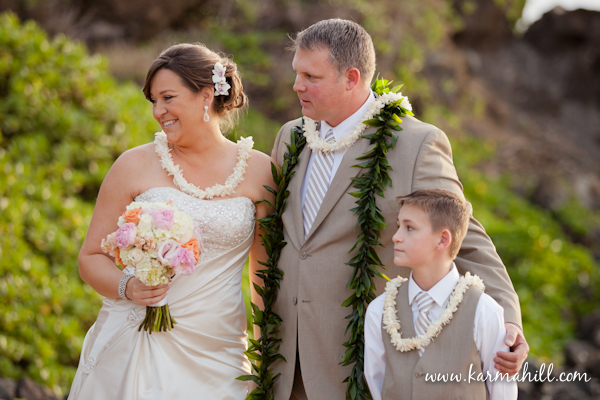 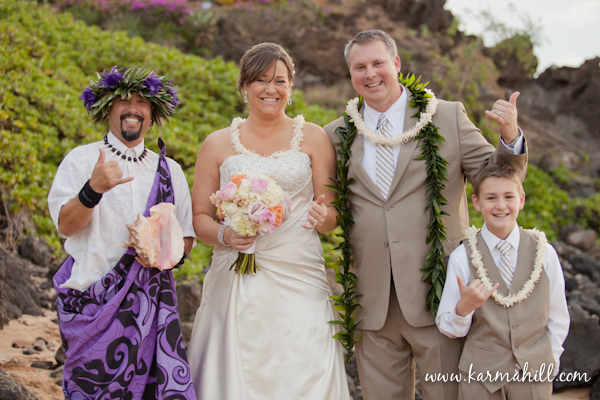 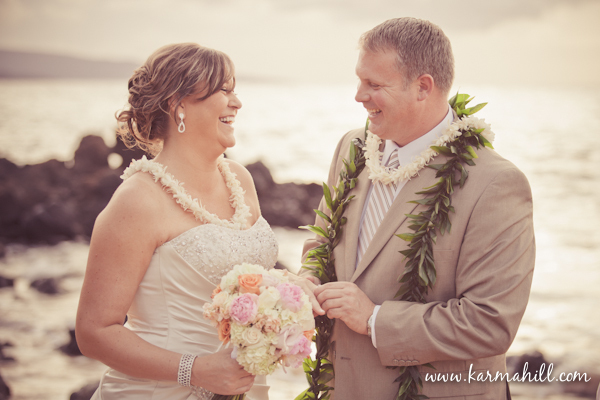 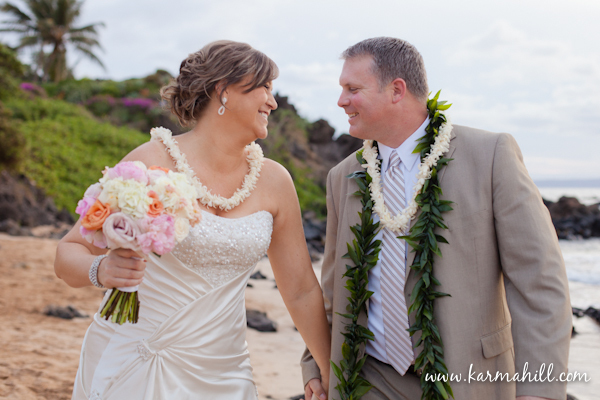 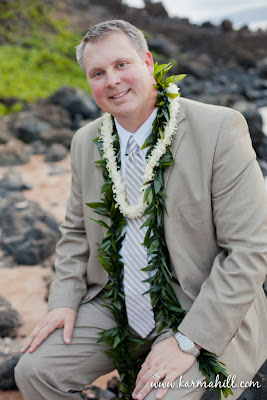 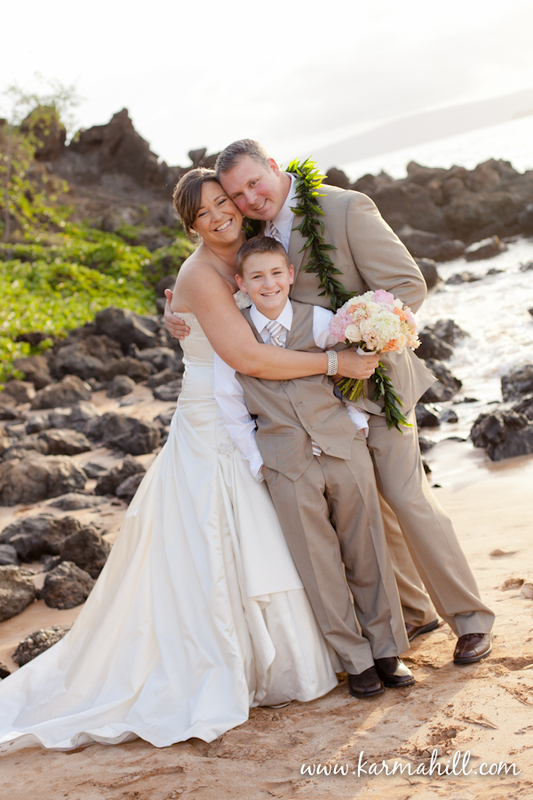 On a beautiful fall evening in South Maui, this South Dakota couple exchanged vows and became man and wife. 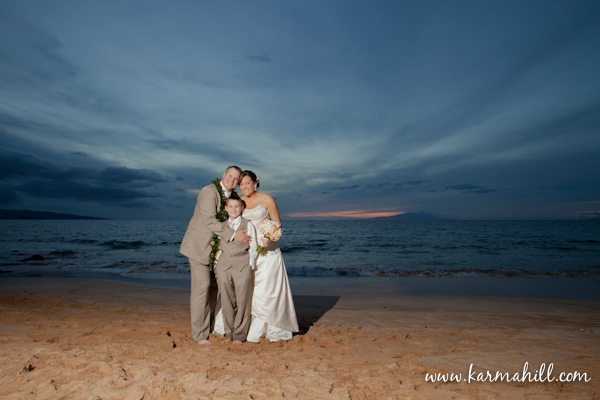 Accompanied by Angie's son, this family got to enjoy a great time together laughing and playing on the beach. 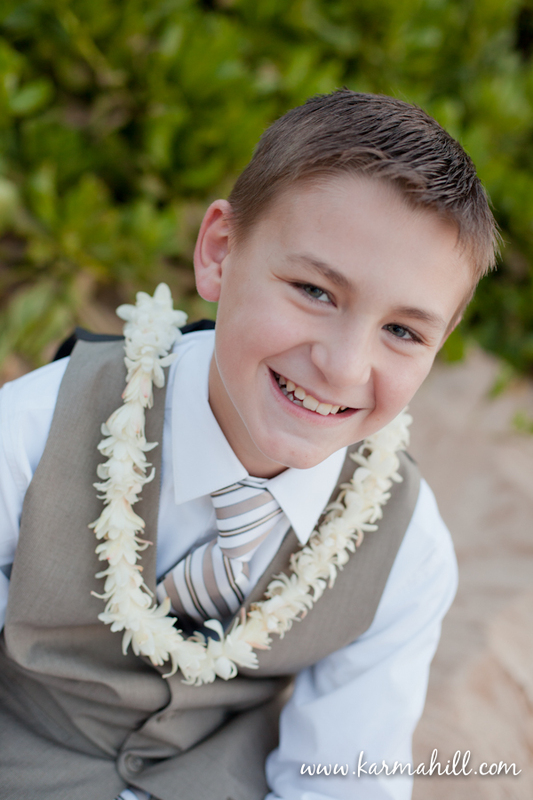 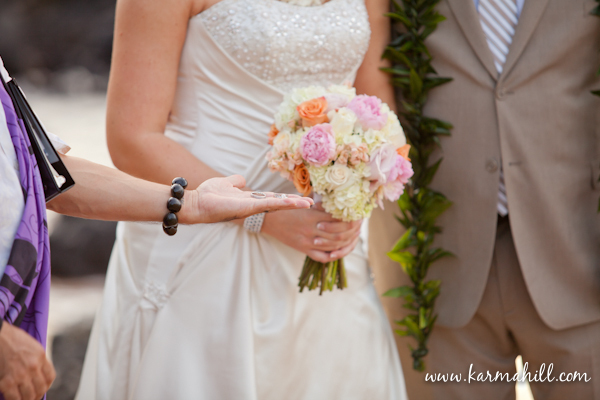 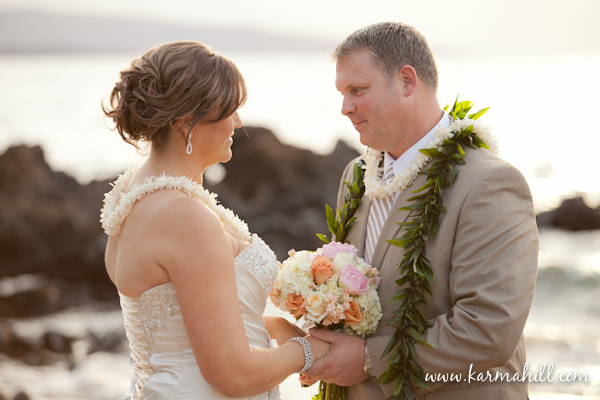 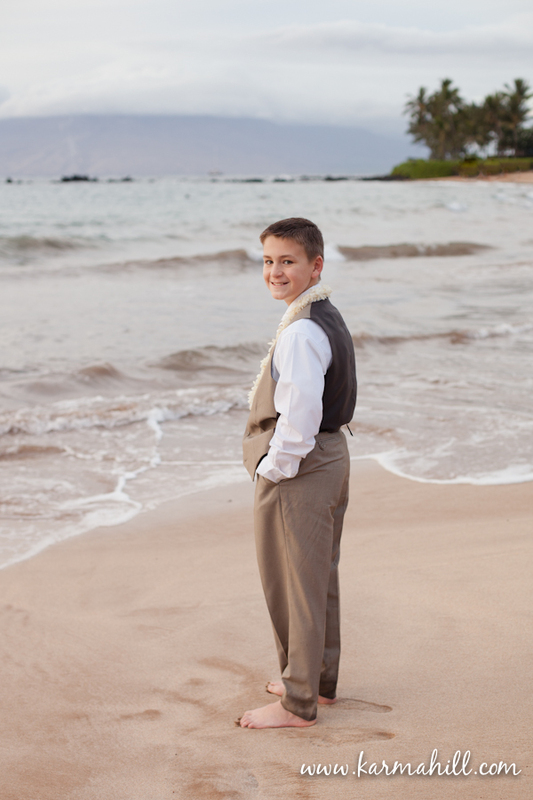 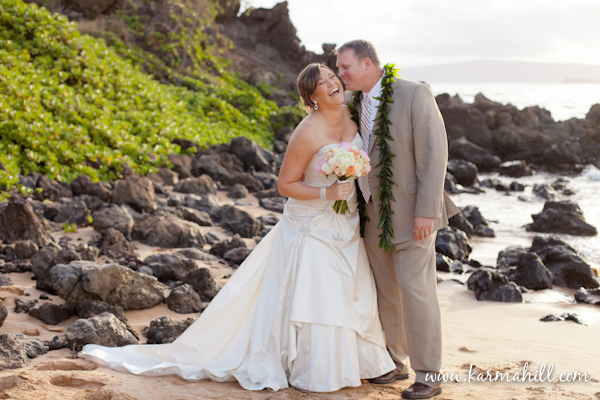 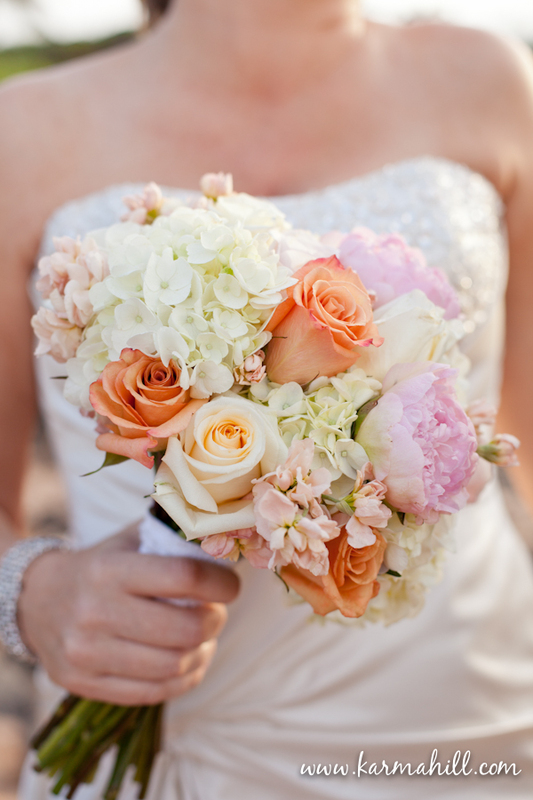 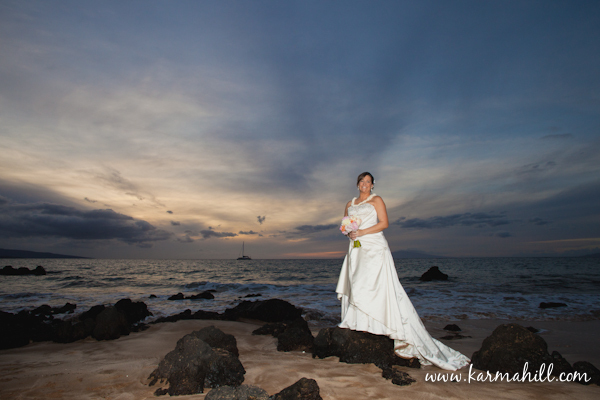 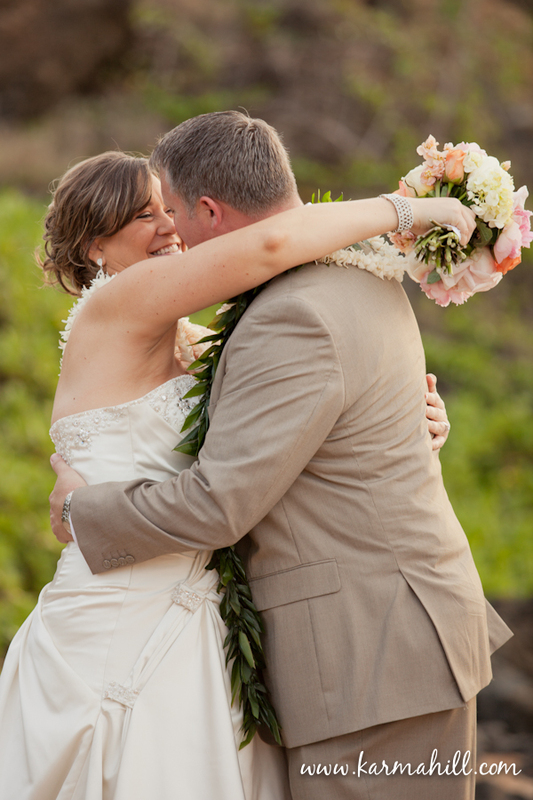 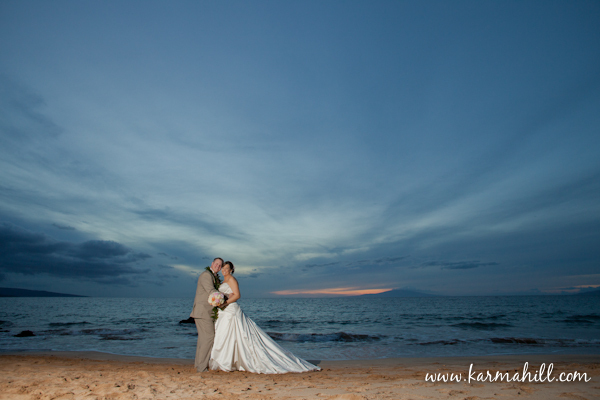 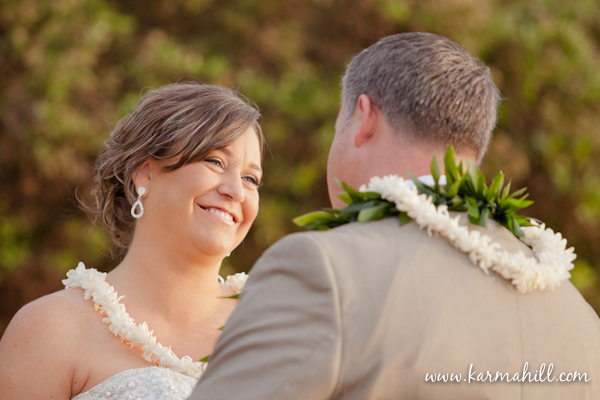 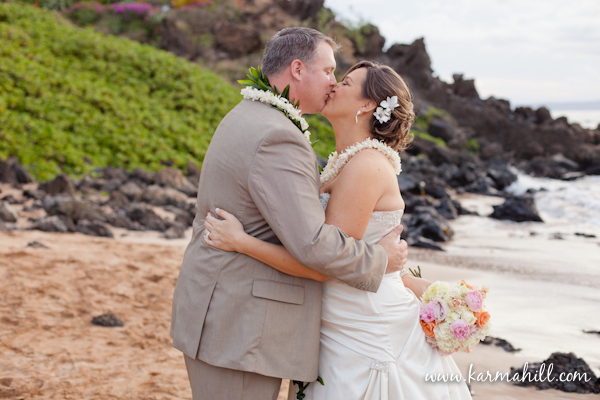 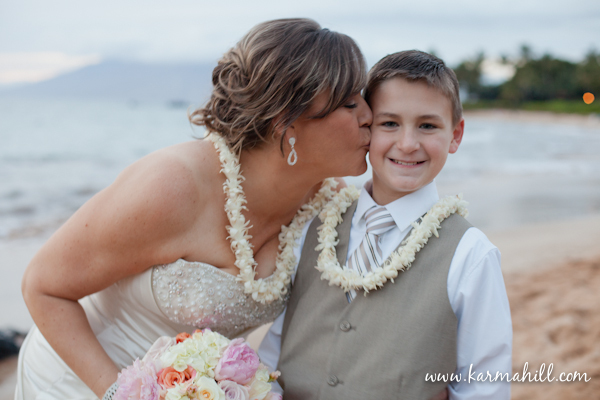 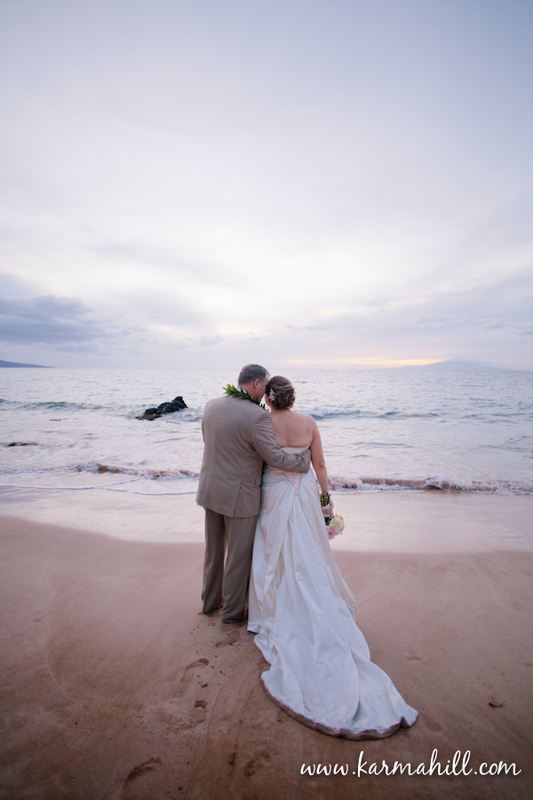 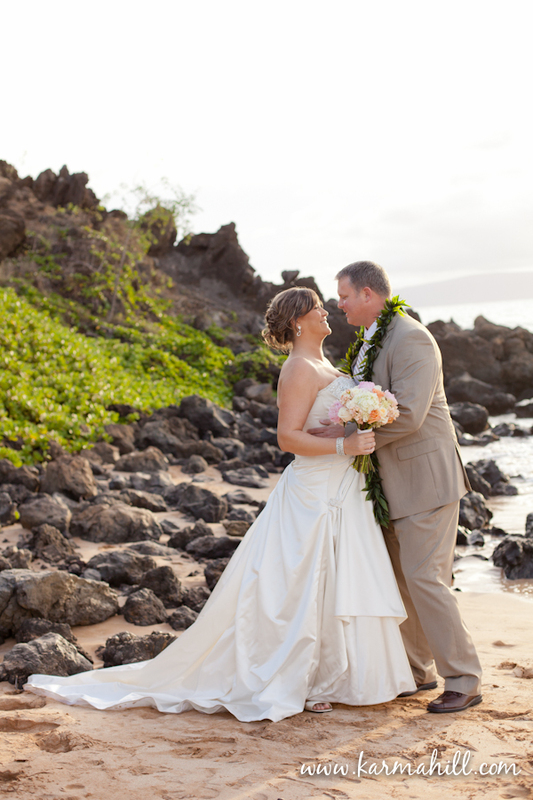 Complete the kind of soft lighting every photographer dreams of, these three were blessed with a gorgeous Simple Maui Wedding! 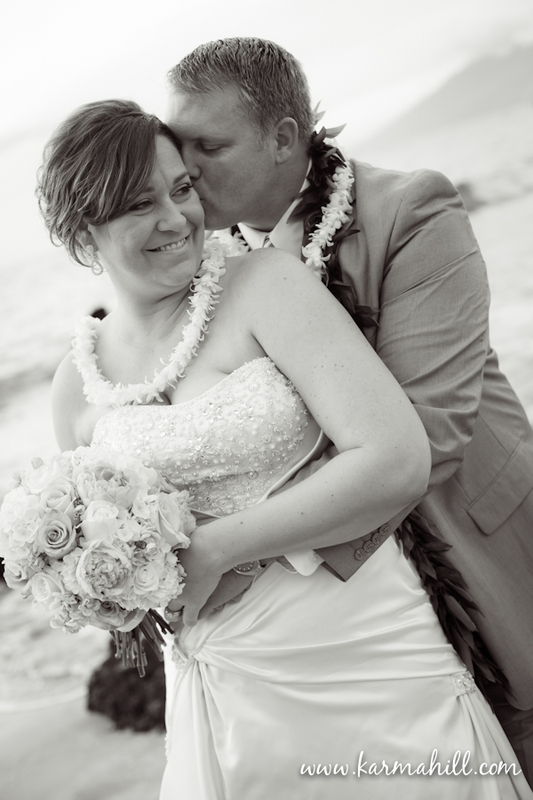 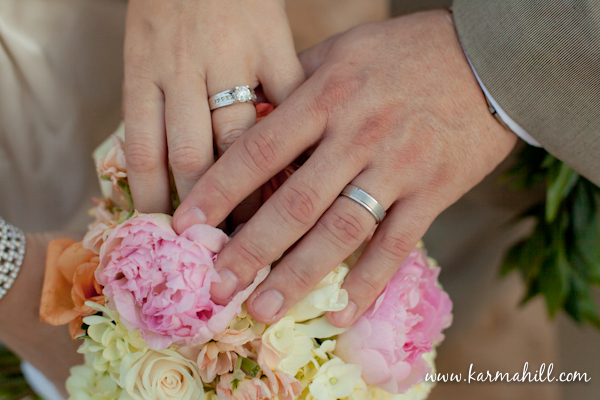 To Angie and David, thank you so much for letting us be a part of your special day!